Does music influence our creativity? This is a guide to understanding what creativity is, the types of creativity, and if music does really help boost that creativity. (For the people that sometimes find themselves signing when they’re supposed to be finding a solution to a problem). Google defines creativity as the use of the imagination or original ideas, especially in the production of an artistic work. I really don’t like this definition, because it reduces the broad field of creativity. This tool is used in any career, work, game, etc., either if it’s art, law, web development, engineering (…). Why? Because we need to be creative to innovate in our own field, to solve problems in the most efficient way. Most people also think that being creative is generating something completely new, from scratch. And nowadays that’s almost impossible. There are so many things that can be improved, that become stuck in the process of innovation, and there’s where we have the opportunity to be creative and continue with the evolution of that specific product or task. That’s why I liked the definition of the Business Dictionary, the part that refers to the different approaches to the same task. It’s the approach that matters. For example, Steve Jobs could be one of the most creative people known to date; his creativity led to the creation of the Apple brand. He didn’t start with the creation of something totally new, he just innovated in the experience he gave to his customers. And that is what made the brand different to the rest. People that create music, that write books, problem solvers in a company, web designers… they all need to be creative to stand out and be great at what they do. But being creative in one area doesn’t mean you’ll be creative in all areas. People who are creatively deliberate and cognitively-based are purposeful, they’re agile with research, experimentation and problem-solving. They combine knowledge about a specific subject with their skills to plan and complete an action. A great example of this quadrant is Thomas Edison, who worked through analysis and experimentation and a lot of research, to make the great advance of electricity and telecommunications. Creative people who are classified as deliberate and emotional, combine their sensitivity with rationality. They usually need time of personal reflection, a moment of insight, but also use their logic to get to a conclusion. This quadrant indicates those “A-ha!” moments, the sudden realization of an idea or solution to a problem. This type of creativity operates without our total consciousness; during this process, the conscious brain stops thinking about the problem itself and gives the unconscious a moment to work on it instead. You’re not aware that your brain is working on resolving the problem, and that’s why it’s so spontaneous. This happens when you can’t find a solution to a problem, and after a lot of time thinking about it, you give yourself a break. And our unconscious takes the wheel. The example of Isaac Newton thinking about gravity while watching a falling apple is an example of spontaneous and cognitive creativity. What do we learn about this types of creativity? That we can’t condense ourselves to being simply creative (regardless of what we are doing). Everyone can be creative in their own field, but nobody can be creative in every field. Now let’s talk about music. How does it affect our creativity? A lot of people say that music boosts your creativity. And a recent study that I read led to the conclusion that happy music is the one that works. But what do they mean by happy? When thinking about happy music we may think about upbeat music, that it depends on our music taste, could be classic, techno, reggae, jazz, etc. We may think happy music is the one that makes us happy. But that’s not quite what it means. In this case, the study used 4 types of groups to prove the theory. One had music that was high in positive valence and arousal, that was defined as happy, opposite to music that was classified anxious, having a negative valence and low in arousal. Another group had positive low arousal music, and was defined as calm, and the last one had negative low arousal music, defined as sad music. To prove the theory, they also used a control group that were in total silence. All groups took tests to prove their convergent and divergent thinking. 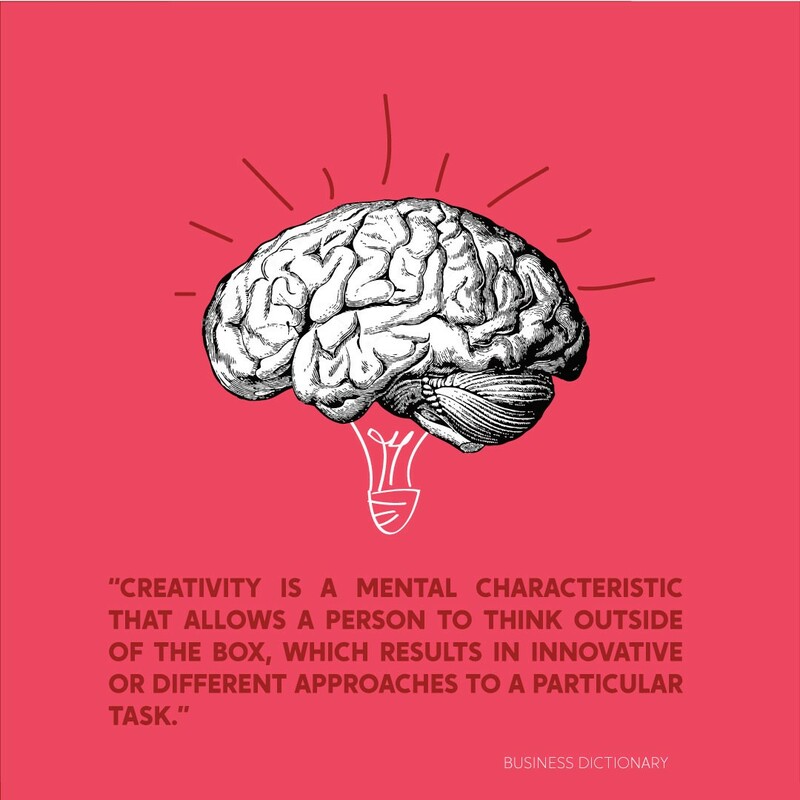 This last one is the most linked to creativity; divergent thinking is when a person generates new ideas or comes up with multiple solutions to a problem. People who listened to happy music scored higher on the tests for divergent thinking, but not on convergent thinking. Convergent thinking is using the information you have at hand to arrive a single correct answer. 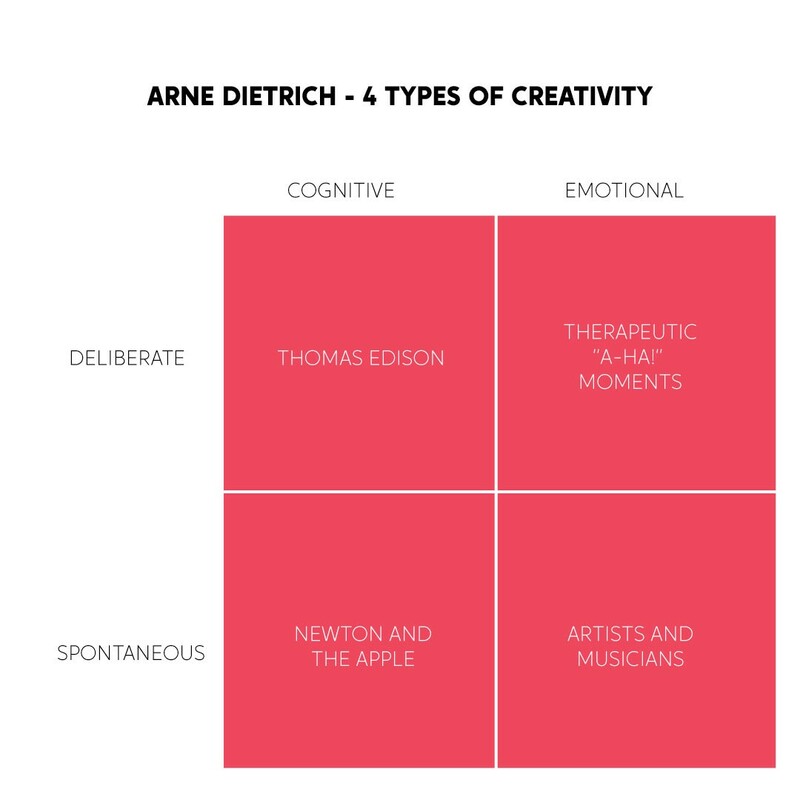 Having previously analyzed the types of creativity, I think the last two (spontaneous and cognitive, and spontaneous and emotional) are the ones linked to this divergent thinking. The ones that could be empowered by happy music. Convergent thinking has a stronger relationship with deliberate and cognitive creativity. Why? Because it requires more knowledge, time and usually quiet time to analyze. On the other hand, the other two types could use the “distraction” that music gives and the emotional boost. This subject has a lot of alternatives and variables. We can’t say that music boosts everyone’s creativity, it’ll always depend on the type of work the person is currently doing, their personality, the type of music, etc. But generally, upbeat music does work for people that work with spontaneous creativity. Ps: I was listening to Tchaikovsky’s Walts of the Flowers (mostly on repeat) when I wrote this. For me, that is the type of upbeat, classical music that boosts my creativity.